As of 2015, globally there were 75 formal collaboratives. This number has grown from 3 in 1990s to 75 in 2015. The increase indicates the need of collaborative action to solve complex development problems. Four key features of a collaborative are: Aim to aggregate social impact, adopt a shared and defined vision, offer a cohesive structure for collaborative action, facilitated by a host or backbone organization. Mumbai, February 24, 2018: Bank of America and Dasra today jointly launched a white paper titled ‘Collaborative Force: Empowering 10 to 19’, which urges for adaptation of collaborative models to address India’s large-scale development challenges. 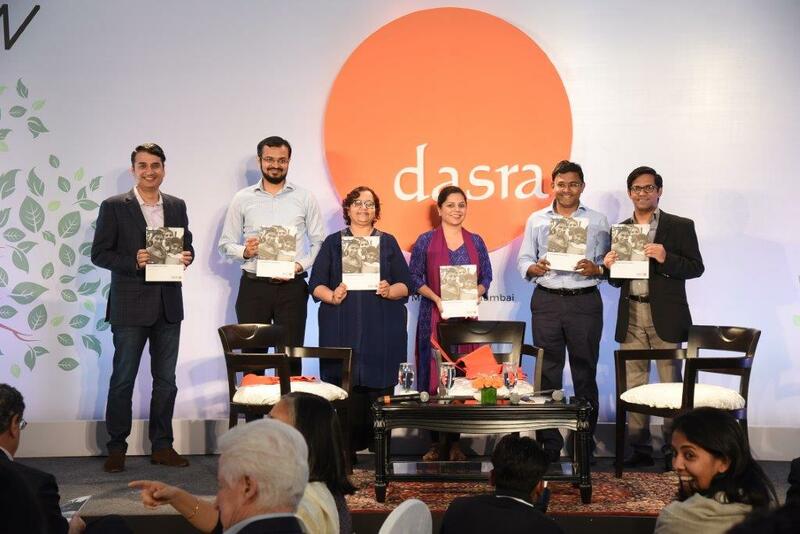 The white paper, launched as part of the Dasra Philanthropy Week 2018, highlights the significance of the collaborative approach to tackling serious problems surrounding India’s adolescents. Philanthropists, corporates, foundations, non-profit leaders, development sector experts and academicians came together and echoed a similar view and added that the report is a pool of resource material for the collaborative model in India’s social landscape. ‘Collaborative Force: Empowering 10 to 19’ documents learnings from India’s first-outcome led collaborative, 10to19: Dasra Adolescents Collaborative. ‘Collaborative Force: Empowering 10 to 19’ shares actionable insights on designing and facilitating a large-scale multi-stakeholder collaborative effort. It outlines the building blocks and key steps that should be considered during the formative stages of any collaborative and highlights what it takes to effectively set up, facilitate, and participate in such a model to advance India's development. For three years now, Bank of America has been a committed thought leader for the cause of adolescent girls in India, supporting two Dasra reports focusing on this topic. ‘Dignity for Her: Empowering India’s adolescent girls through improved sanitation and hygiene’ featured eight promising non-profits striving to promote better sanitation and hygiene for India’s underprivileged girls. ‘Best Foot Forward: Enhancing’ the employability of India’s adolescent girls featured 10 non-profits striving to make adolescent girls more employable through a combination of hard and soft skills demanded by industries. As part of its continued support towards this important cause and through its unique research-led approach to philanthropy, Bank of America takes a leap forward this year to support the report on 10to19: Dasra Adolescents Collaborative with a clear recognition of the need for a collaborative approach to systemically address the complex issues surrounding India’s adolescents. This report is the first in series of reports that highlight the significance of a ‘collaborative approach’ to address to complex issues that surround Indian adolescents based on the success of 10to19: Dasra Adolescents Collaborative. Why take the collaborative approach for adolescent? India is home to about 120 million adolescent girls, who are characterized as a largely invisible group and an astounding number of whom are still restrained by poor nutrition and health, lack of complete and quality education, early marriage, early and repeat pregnancies, little agency and a compromised potential. The needs of adolescents are extremely diverse and cut across several areas such as education, health and livelihoods. True impact will require addressing all of these needs together while keeping the adolescent at the center of it all. If this picture does not change drastically, India will miss out on the unique opportunity of leveraging its greatest advantage globally – its demographic dividend. This complexity, coupled with the dearth of data on what works, the urgent need for non-profits to grow their skills and capacity to reach more adolescent, as well as the need for enhanced government involvement to ensure prioritization of adolescents and better implementation of existing schemes, underscores the fundamental idea that no one stakeholder is alone capable of improving the lives of India’s adolescents and creating systemic change at the scale and place that is urgently required. Bank of America is one of the world’s leading financial institutions, serving large corporations, small- and middle-market businesses and individual consumers in more than 35 countries with a full range of banking, investing, asset management and other financial and risk management products and services. Bank of America Merrill Lynch is a global leader in corporate and investment banking and trading across a broad range of asset classes, serving corporations, governments, institutions and individuals around the world. The company provides, through various banking and broker-dealer affiliates, M&A advice, equity and debt capital raising solutions, lending, risk management, treasury, liquidity, and payments management. Bank of America Corporation stock (NYSE: BAC) is listed on the New York Stock Exchange.